According to the UN, the number of international migrants globally reached 244 million in 2015 – a 41% increase since 2000. This figure includes almost 20 million refugees. Governments across the world are dealing with the logistical and human impacts of an expanding flow of displaced people. Those seeing significant influxes are under intense pressure to respond swiftly and responsibly to integrate them into their societies. Living and working in Germany, I’ve seen this pressure at first-hand – indeed I continue to see it on a daily basis – and I am delighted to say that the experience here gives grounds for optimism. In fact, I am increasingly convinced that, through sustained effort and collaboration between government, business, and society, we can find ways to meet the needs of both refugees and the countries receiving them. Each country must first ensure it has the capabilities, resources and structure in place to speedily manage the volume of refugees arriving. Sound management and coordination at both in-transit and destination countries can enable governments, businesses and NGOs or agencies to deal more effectively with the inevitable tests that arise along the way. The key is to look at these challenges through the eyes of the refugees. This is happening more and more. From my own vantage point in Germany, I’ve seen a growing number of businesses actively seizing the opportunity to work alongside government in taking on the challenges of asylum seeker applications and humanitarian needs. They’re helping build services that help refugees get back on their feet in a new country, while spreading the costs in terms of infrastructure, technology, healthcare, training, education and more. Companies themselves have a clear business rationale for doing this. For example, organizations facing skills shortages stand to benefit from training and hiring people from this new, diverse and often highly-skilled workforce. Many German businesses have started programmes to train some of the more than one million refugees who’ve arrived in the country since 2014. Around 100 companies have joined Wir Zusammen, or We Together, a group that helps integrate new arrivals into German society. To date the initiative has secured internships for some 1,800 refugees, and apprenticeships for another 300. The members include many household names. My own firm has developed a free 10-week training course for refugees when they first arrive. This is a critical period for them, as many of them are not allowed to work during their first three months in the country. Moreover, they have no access to public integration programmes until their application for asylum is decided positively. By signing up for a language and vocational training course, refugees gain valuable preparation for a job and a first certified assessment of their occupational aptitude within the German labour market. This will boost their employment opportunities once their three-month exclusion period ends. At the same time, this initiative will help Germany’s economy by expanding the available flow of new talent, especially in industries such as manufacturing, healthcare and nursing. Looking at Germany’s overall experience of the recent influx of refugees, what lessons have we learned? One of the most useful – and readily applicable in other countries – is that the refugee journey is best managed in four distinct phases. To help, we’ve clearly defined each phase from the point of view of the refugee, taking into account both their immediate needs and the desire to transition them into long-term resettlement programmes. Fast, agile decision-making: Escaping from war or where life has become unsustainable and travelling through countries to get to the country of choice is the most insecure phase. They are vulnerable not only to the elements, but to smugglers, traffickers and other criminals taking advantage of their situation. The arrival phase: Refugees are given temporary shelter and support and can register and apply for asylum in the protective country of choice. Protection, settlement and integration: Once in their country of choice, refugees apply and are assessed for asylum. They receive protection and support throughout the application process. If accepted, they are provided with housing and integration into communities through work and education. This is the stage where businesses can make the biggest contribution. 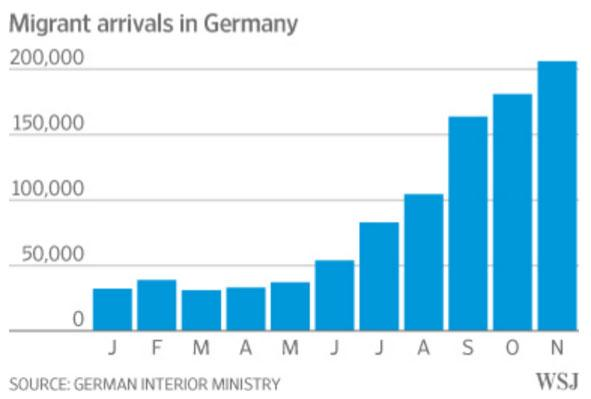 The repatriation phase: Refugees are returned to their country of origin if refused asylum. In the longer term, refugees are granted asylum and are eventually repatriated or repatriated when it is safe for them to return to their home country. In every phase, there are many parallel tasks that require capabilities and resources. As we’ve seen in Germany, business can play a major role in lifting some of the burden from governments and municipalities, while also benefiting the wider economy and the refugees themselves. It is our strong belief that integration works best when linked to a concrete professional perspective and practical work. If companies are not afraid of tackling language barriers and cultural differences at an early stage of integration, they will be rewarded with access to a new and valuable source of talent with highly motivated employees. Put simply, what businesses in Germany have learned is that helping refugees through their four-stage journey is a win-win. Together, we can all contribute to turning the refugee crisis into an opportunity.